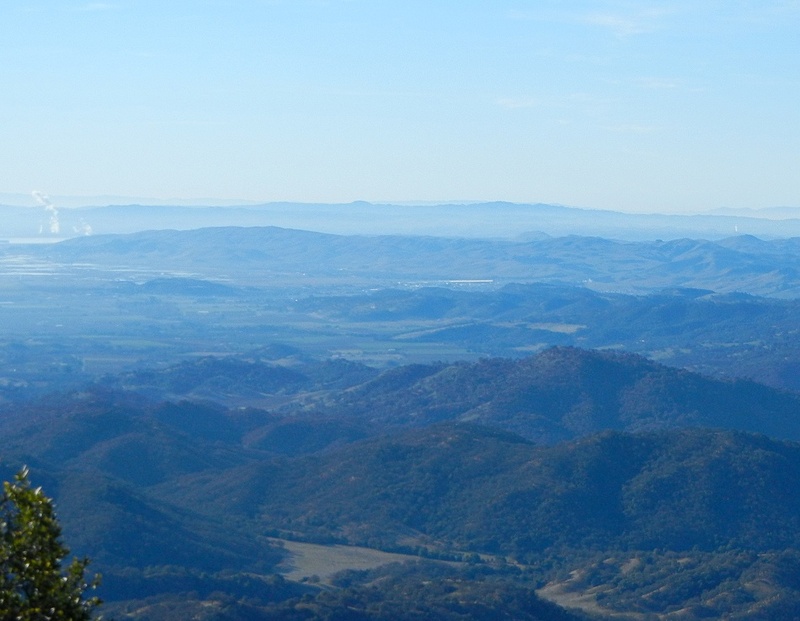 A few weeks ago I paid a visit to distant Mount Vaca, north of Fairfield on the Solano-Napa County line. It’s almost 3000 feet up and commands a wide view. Naturally I looked back at the Oakland Hills. There they were, immediately recognizable. Click the photo for a 950-pixel version. In the upper center is Round Top, with Redwood Peak to the left and Vollmer, then Grizzly Peak to the right. Behind them is San Bruno Mountain across the bay. On the left edge are the plumes from the Avon refinery near Martinez and a bit of the Delta. The entire vista is part of the plate boundary, cut into slivers by the strands of the San Andreas fault system. At geological speed, they are all moving rightward at various rates measured in millimeters per year. I’m working on my talk for the Oakland Heritage Alliance, this Thursday at 7:00. The process is forcing me back away from the details and toward the big picture—not the geological big picture, but the picture nongeologists see. That means I talk less about plate boundaries and more about how to live on our particular one. This entry was posted on 5 February 2012 at 7:26 pm and is filed under Oakland geology views, Oakland peaks. You can follow any responses to this entry through the RSS 2.0 feed. You can skip to the end and leave a response. Pinging is currently not allowed.